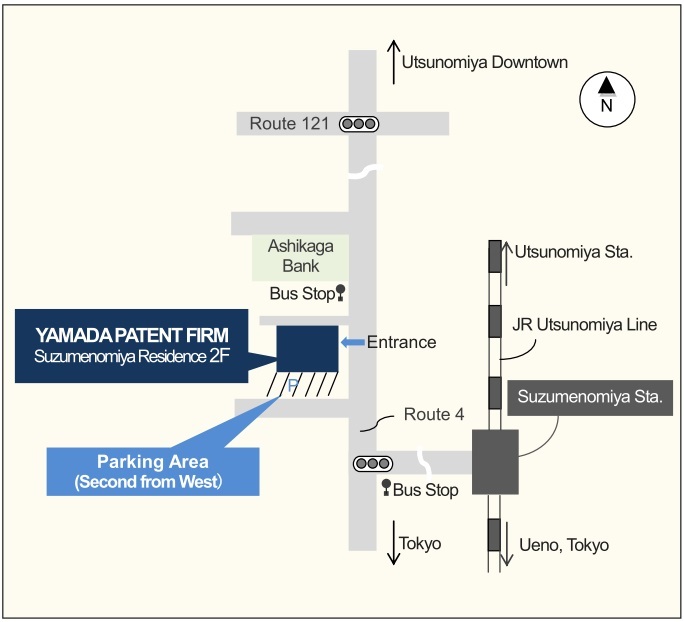 YAMADA PATENT FIRM is a full service firm for all intellectual property matters, including patent and trademark right prosecution, licensing, expert opinion and response for infringement of intellectual property. Patent attorney Takehiko Yamada researched metal physical property and received a bachelor of production mechanical engineering from Tokyo Institute of Technology in 1995, and a master of production mechanical engineering from Tokyo Institute of Technology in 1997. From 1997 to 2001, he was employed by Fuji Heavy Industries Ltd., where he was an engineer of aerospace division. He was involved in production engineering of airplane, such as numerical control of machine tools, machining process, developing tools and surface treatment. He received the qualification of aviation factory inspector which is a Japanese national qualification. From 2002 to 2009, he was associated with Tokyo International Patent Firm, where he was involved in prosecution of Japanese and foreign patent applications, especially in the fields of electronics, mechanical engineering, control engineering and inorganic materials. He has registered as Patent Attorney in 2004, and as Qualified IP Litigator in 2008. He established Yamada Patent Firm, in 2010, where he is involved in prosecution of Japanese and foreign patent applications, in the fields of electronics, mechanical engineering, control engineering and inorganic materials, mainly including production engineering of aircraft, research and development of aircraft, processing technology of composite material, semiconductor circuit, medical devices such as diagnostic imaging apparatus, optical engineering and software. In addition, he is involved in prosecution of Japanese trade mark applications. He is also building a cooperative relationship with lawyers, and involved in licensing, expert opinion and response for infringement of intellectual property.